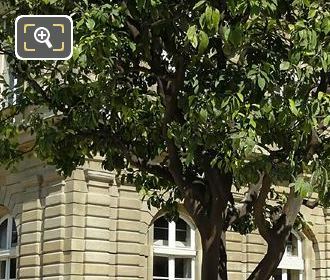 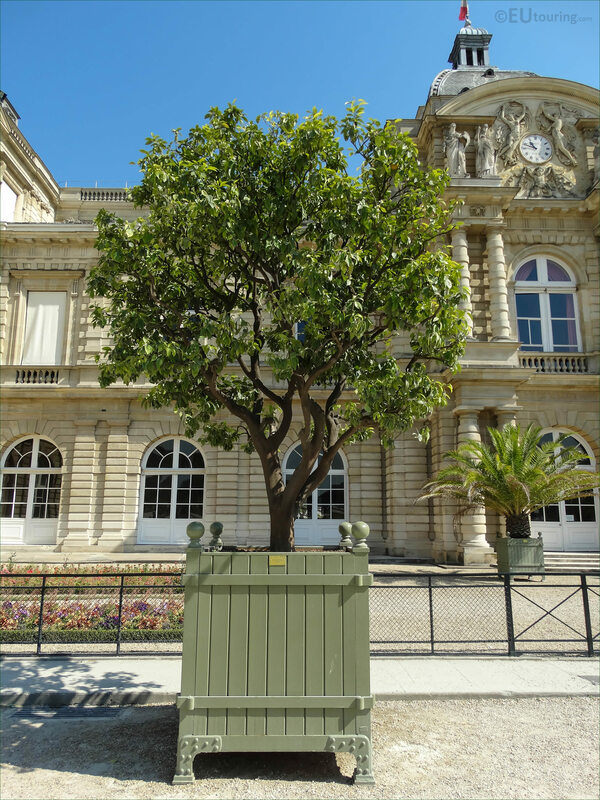 We were in the Jardin du Luxembourg in the 6th Arrondissement of Paris, when we took these high definition photos showing Pot No 129 holding a Citrus Sinensis, Sweet Orange tree. This first HD photo shows the Citrus Sinensis, which is the botanical name for this tree, however, the common name for this is a Sweet Orange, and this particular type of fruit tree was mentioned as far back as 314 BC in Chinese literature, and now it is the most cultivated fruit tree in the world, with Brazil producing the most oranges from this type of tree each year. 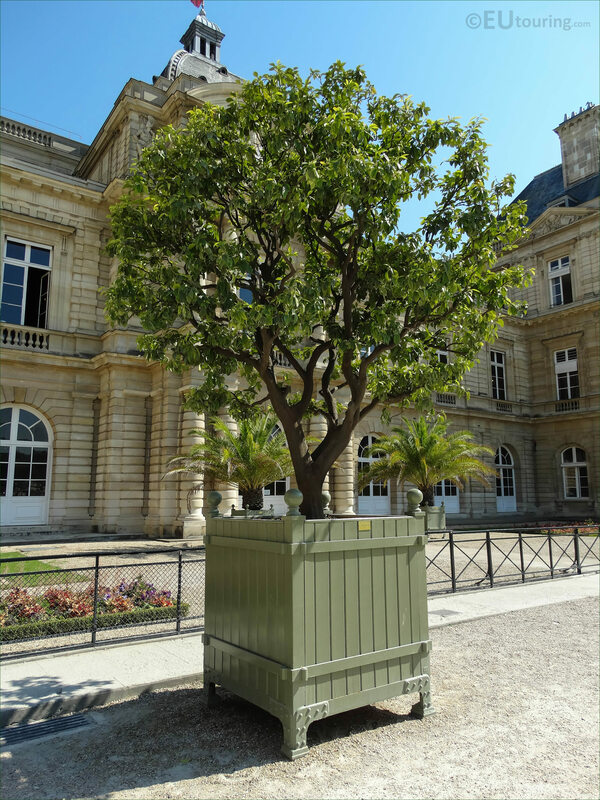 You will find that the Citrus Sinensis is cultivated in tropical and sub tropical climates throughout the world, yet they do not fair very well in conditions where the temperature can get cold and frosts can easily kill orange trees, which is why this particular plant is placed within a pot and housed within the Orangerie of the Luxembourg Gardens during the colder months. 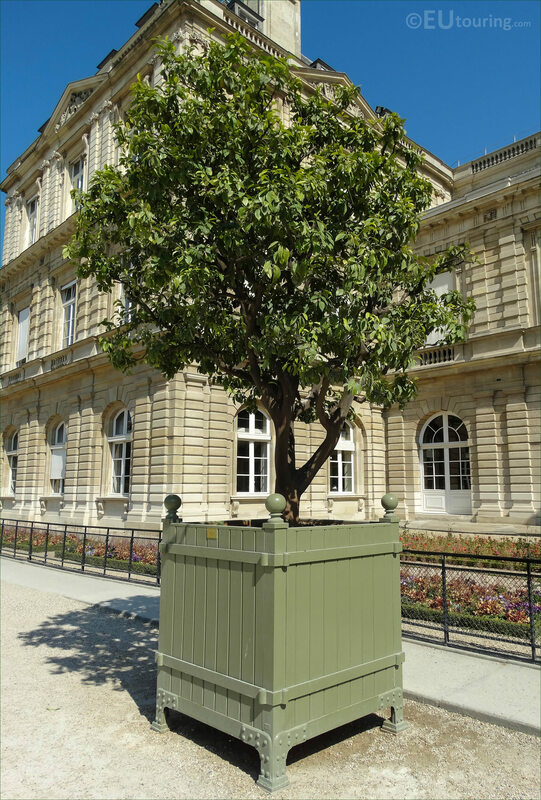 Now you can see in this photo that this Sweet Orange tree has been placed in Jardin du Luxembourg in front of the south facade of the Palais du Luxembourg, and this is where the most ancient of the orange trees are positioned each year from late spring through to the start of autumn, and these can be as much as 250 to 300 years old, which is a rich heritage that the French Senate wish to continue preserving for many years to come. 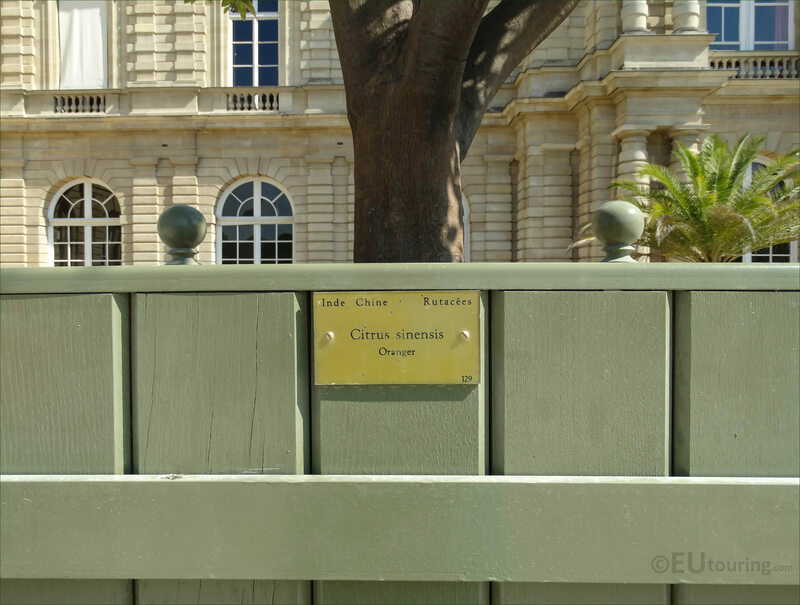 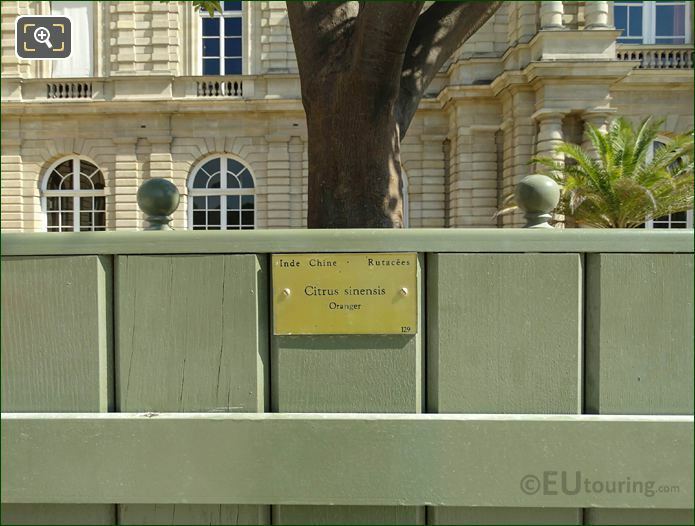 Yet this last image shows the tourist information plaque located on the green wooden crate made of oak panels, numbered 129, and as you can see, it states that this species of Sweet Orange tree originated from India or China and is part of the family spelt Rutaceae in English.